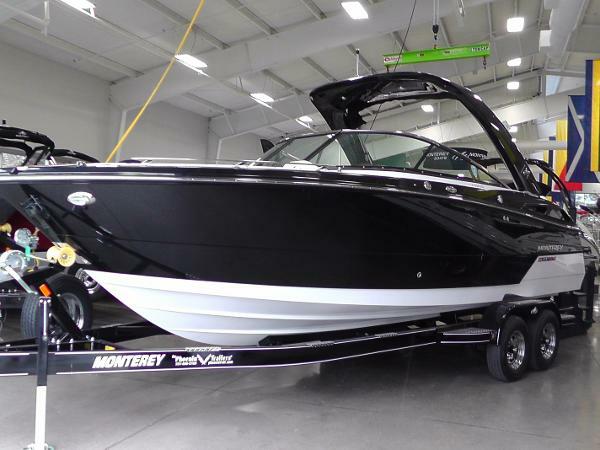 2016 Monterey 278SS 2016 Monterey 278SS featuring an Onyx Hull Side and Deck with an Arctic Hull Bottom complimented with an Electric Fiberglass Arch. 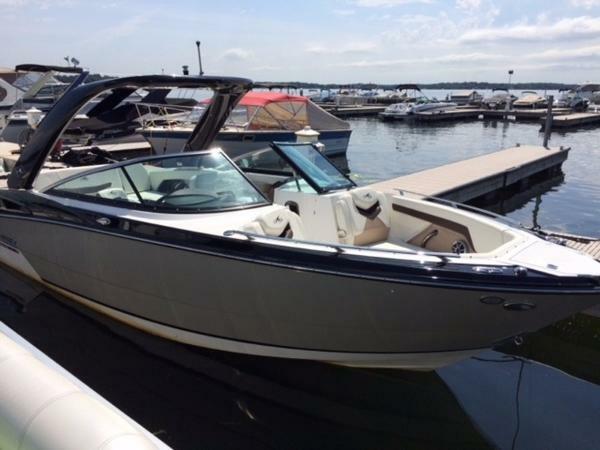 Powered by a 6.2L 350HP Mercruiser with a Bravo III Drive. 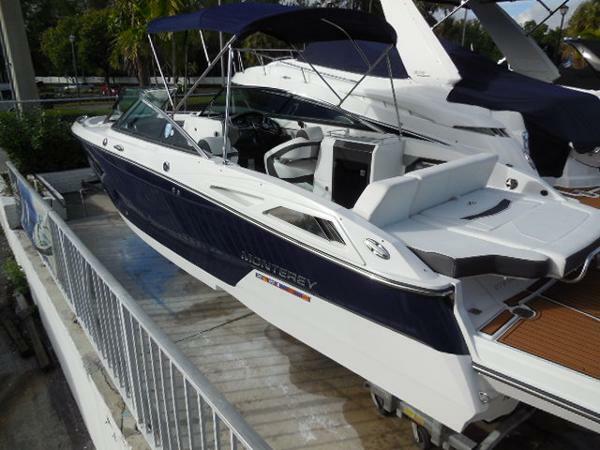 Features include: Bimini Top, 2 Igloo Coolers, Fushion Stereo with Stern Remote, Upgraded Wetsounds Speakers and Amp, Docking Lights, Dual Battery Switch, Trim Tabs, Transom Shower, SeaDek Swim Platform Inlay, Snap in Carpet, Underwater LED Lights, Cockpit Table, Raymarine GPS, Pump out Head, Battery Charger, Bow and Cockpit Covers, SS Bow Scuff Plate, Transom Tilt Switch, Depth Finder and Compass. Complete with a Custom Built and Painted Tandem Axle Phoenix Trailer with Disc Brakes, Vault Bearings, Welded Bunks, LED Lights, Swing Away Tongue, Chrome Wheels with Matching Spare. 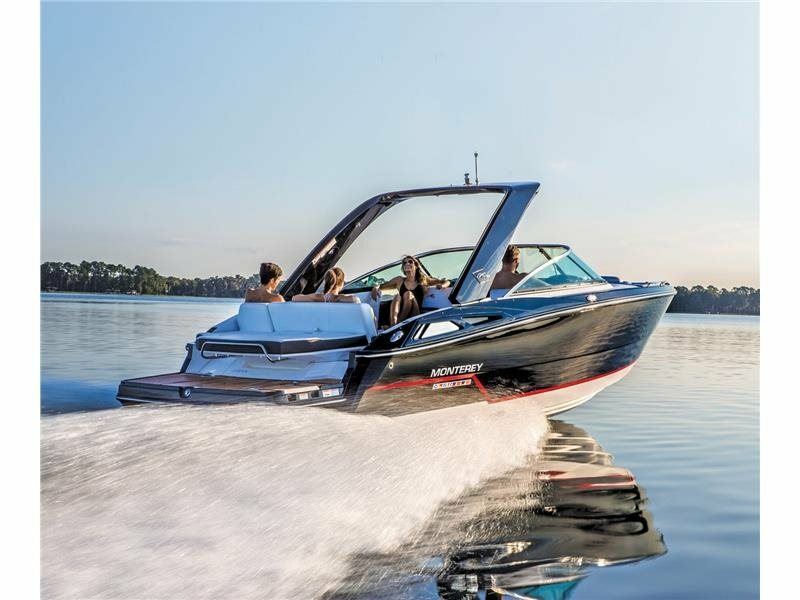 2017 Monterey 278SS Our boat is rigged with Mercury's new 6.2L 350hp Bravo III w/ DTS. DTS stands for Digital throttle and shift. It allows quick acceleration, smooth shifting and throttling of the motor and drive. From there we decked this beauty out with all the popular item: Docking Lights, Anchor Windlass, Folding Electric Fiberglass Arch in White to match the cockpit, Underwater LED Lights, Raymarine GPS and so much more. 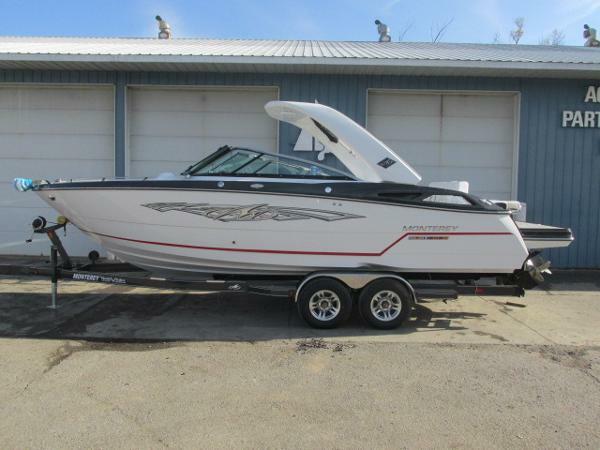 Exact options include: Mercruiser 6.2L V8 350 HP Bravo III drive Digital throttle and shift Deck color is Titanium Silver Hull color is Arctic White Hull Stripe is Titanium Silver Hull bottom is Arctic White Full snap on bow and cockpit cover Windlass Anchor - push button electric Docking light on the bow Extreme Graphics on the side of the boat for a super sporty look Black electric arch with Bimini top integrated Wet bar in the cockpit Sea deck flooring on the swim platform and in the floor of the boat Underwater LED lights Cockpit table in the boat GPS chartplotter in the dash Stereo remote in the stern Portside forward and aft seating Battery charger Pump out for the toilet. The trailer is not included in the price but one can be added. An Aluminum I beam trailer is $6,999 or the Phoenix custom made custom painted trailer is $8,499 Call for more details and set an appointment to see 278SS in person. 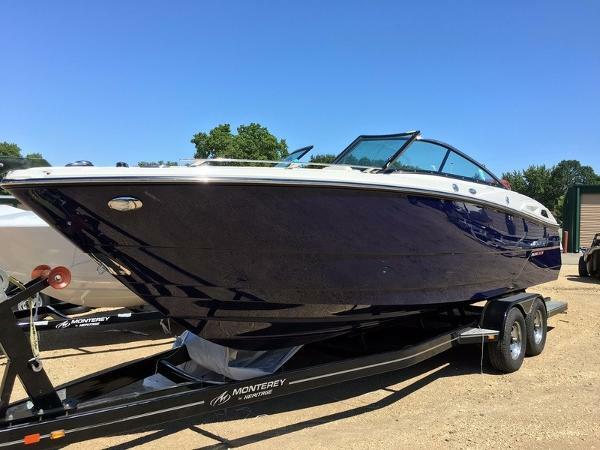 2016 Monterey 278SS Super Sport *** Two months old! Most factory extras. 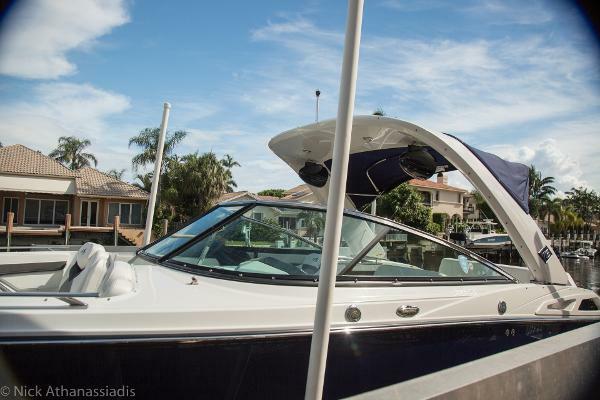 Avoid the wait, pay 20% less and get out on the water this weekend. Factory price: $117,000. The owner is moving up. 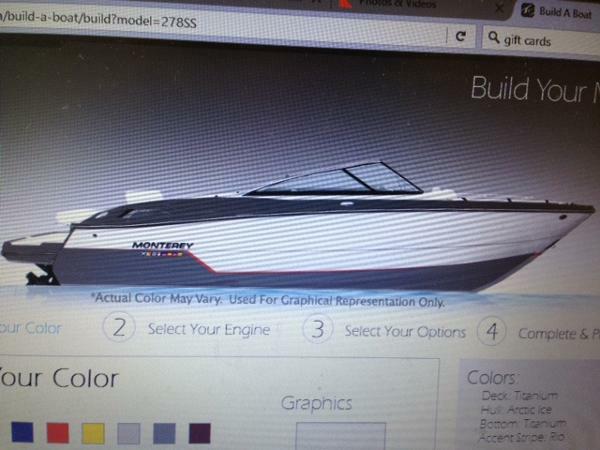 *** The Monterey 278SS is setting new standards. 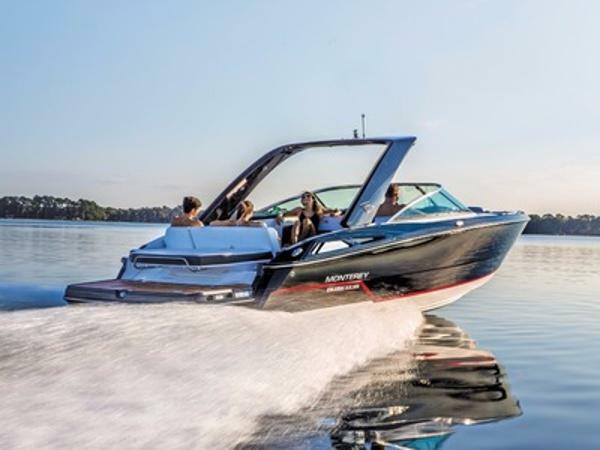 Taking your friends and family out for the weekend on the 278SS will quickly become a habit once you've experience all the amenities packing into this model. 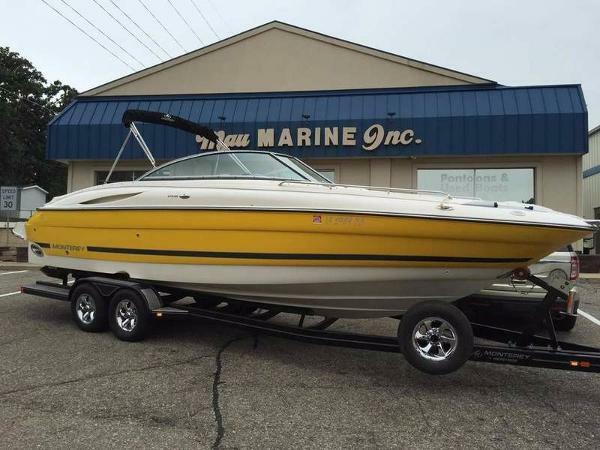 This boat is in excellent condition with only 100 hours on the engine and easy to see. Engine service has been completed, the boat is on a lift and detailed every 2 weeks. 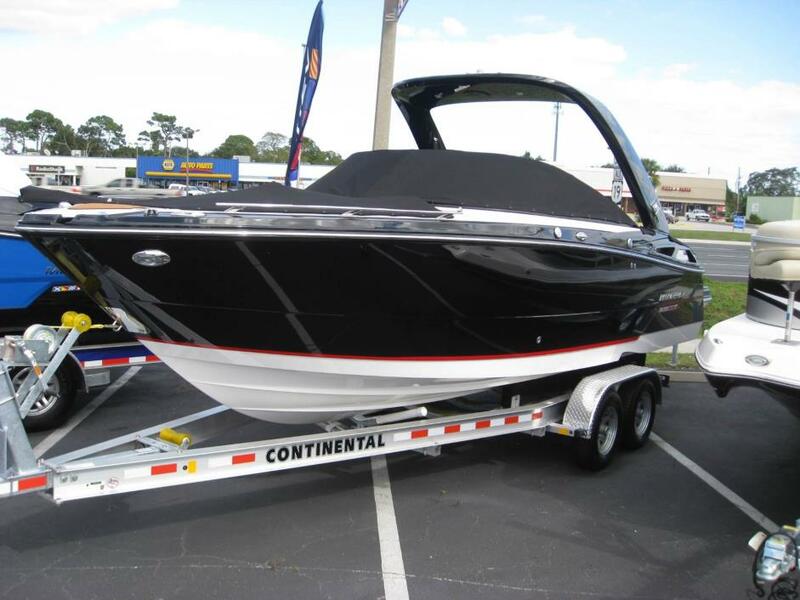 You won't find a better Monterey available on the market. 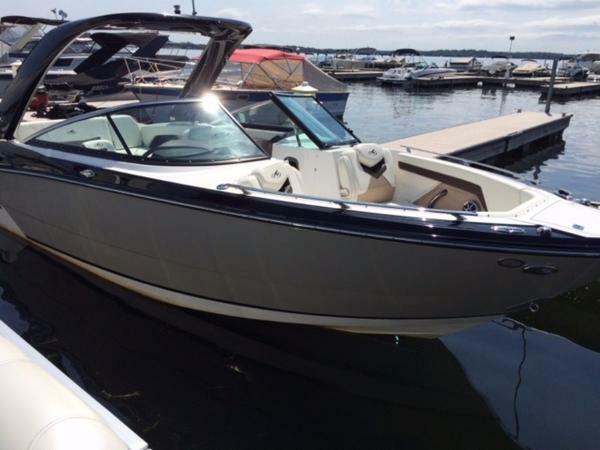 2017 Monterey 278SS Brand new 2017 Monterey 278 SS w/Mercruiser 6.2L 350hp engine, Bravo III drive, and Phoenix trailer. 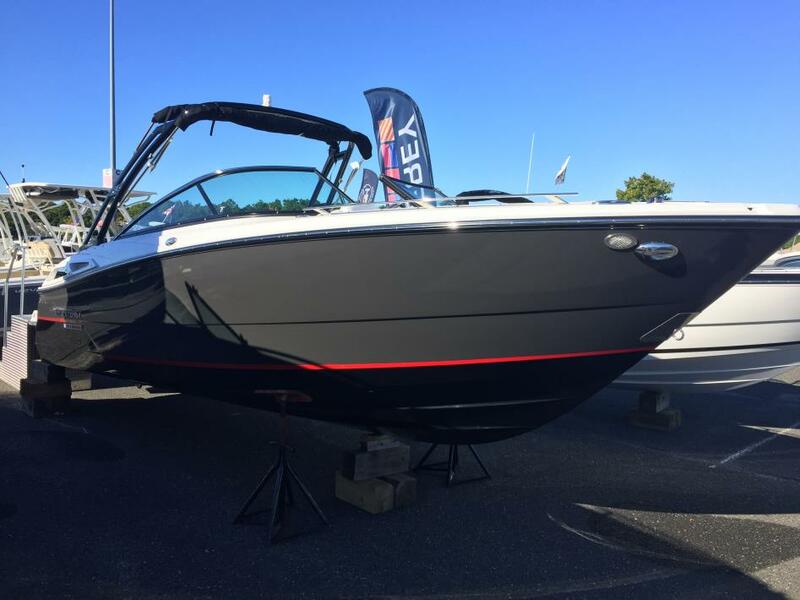 Gorgeous color combination: Titanium gray deck stripe, Arctic white hull side, Titanium gray hull bottom, and a Rio red accent stripe. 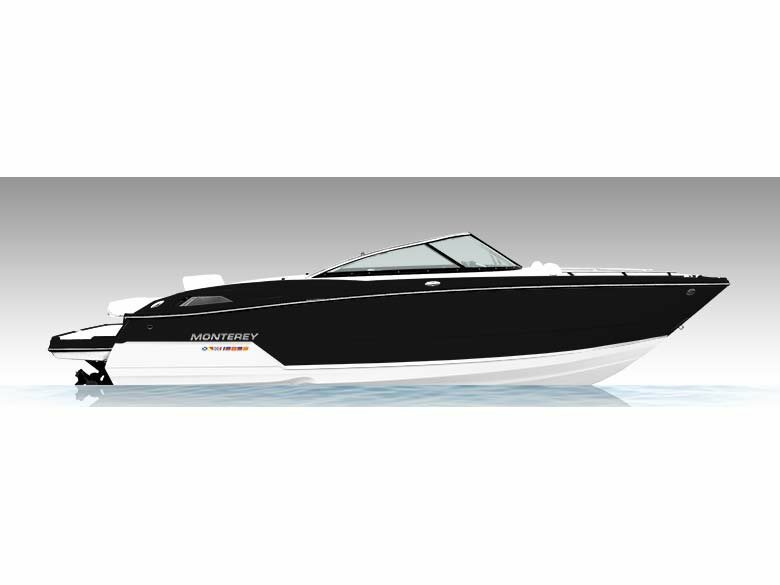 Equipment includes GPS chartplotter, trim tabs, SeaDek cockpit flooring and swim platform, docking lights, removable ski pylon, battery charger, pump out deck fitting for toilet, porta potti in changing room, cockpit table, bow and cockpit covers, battery switch, flip up sunlounger, and so much more. Arriving soon!